A few years ago, the AMEX Gold Delta SkyMiles credit card ran a promotion where new card members could earn 60k bonus miles after spending $1,000 USD. After meeting the minimum spend, I had enough points for a free round-trip flight to New Zealand! Two years later, I’m still working on that trip, however, I’m still a loyal Delta SkyMiles credit card member. I’ve even upgraded to the Platinum Delta SkyMiles credit card. Although some call Delta SkyMiles, “Sky Pesos”, there’s value in redeeming (and earning) SkyMiles, especially if you’re taking advantage of Delta SkyMiles Flash Sales. The Delta SkyMiles frequent flyer program is complex. Not only are there lots of restrictions but there is no standard award chart – Delta got rid of it back in 2015. This makes it harder for members to know a good deal when they see one. Also with frequent (sometimes unannounced) reward devaluations, you have to earn more miles to redeem free flights. Despite these issues, Delta SkyMiles Flash Sales are a solid workaround to get more value out of your SkyMiles. Delta SkyMiles Fash Sales offer discounts on award flights. Essentially this means that you redeem fewer SkyMiles towards free flights. But here’s the catch (among many), sales last 48 hours, so act fast! I’ve seen Flash Sales to cities in the U.S., Japan, the Caribbean, Mexico, and Canada. Keep in mind that when booking an award flight, you’re responsible for paying the taxes and fees. 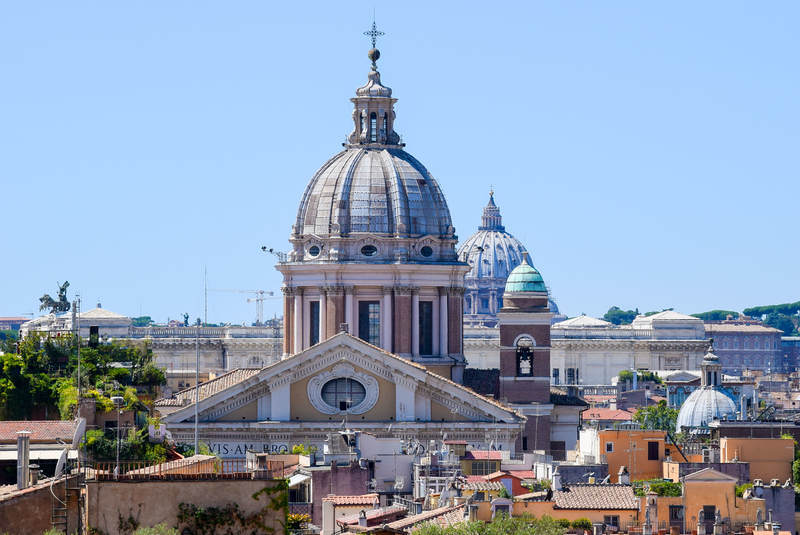 When booking my award flight to Rome, I jumped on the opportunity to pay $75 USD total in taxes and fees – what a bargain! On the other hand, I chose not to spend $75 USD in taxes and fees for a weekend trip to Toronto. This was on top of wiping out 20k SkyMiles. Here’s my reasoning: since I recently booked round-trip tickets to Toronto for $195 USD with WestJet, in this case, it made more sense to spend the money instead of redeeming miles. So the lesson here? Do your analysis! Don’t be afraid to walk away from “deals” that don’t serve you. There will be better options down the road, trust. 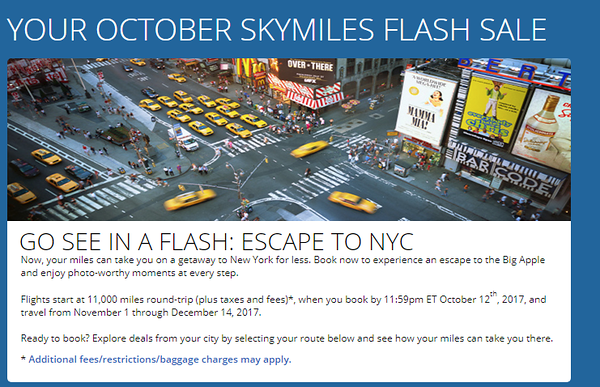 SkyMiles members get monthly notifications through Delta “Flash Sales & Last Minute Deals” emails. But honestly, I’ve never gotten these emails. Not sure if they get lost or what, but I have an awesome resource to share with you below. An alternative, sign up for Thrifty Traveler’s free daily newsletter. In addition to sharing lots of valuable information and tips about booking cheap flights, they’ll also alert you when Delta has a sale. Seriously, I never miss a beat with these guys. Just look out for their daily afternoon emails. Thrifty Traveler even shares those unadvertised Delta SkyMiles flash sales and they’ll let you know the months with the best availability. So how did I book a $75 USD flight from New York City to Rome? Well, a round-trip economy Delta Air Lines award flight to Europe normally starts at 60k Delta SkyMiles. However, back in March, when Delta had a 48-Hour Flash Sale, they offered the same flights for 50k SkyMiles. That’s a saving of 10k SkyMiles which is a big deal for frequent flyers. However while searching the calendar view, I couldn’t find any more 50k SkyMiles award flights to Rome for dates in August. I did, however, find round-trip flights for 55k SkyMiles. Happy with my 5k SkyMiles discount, I booked the last award seat on a round-trip flight to Rome. 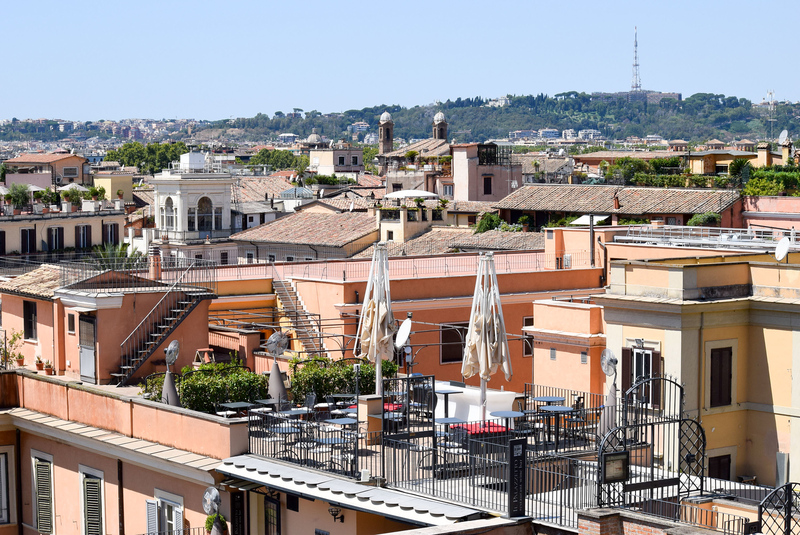 Rome’s rooftop views are absolutely breathtaking! I took these photos from the top of the Spanish Steps. You can’t beat $75 USD round-trip flights to Italy. More importantly, with a 1:1 earning ratio on my Delta SkyMiles Platinum credit card, I would have had to spend $5,000 USD on everyday purchases to earn the 5k Delta SkyMiles savings. Or I would have had to spend $2,500 USD on Delta purchases at a 2:1 earning ratio to earn enough SkyMiles. Taking into consideration the opportunity costs is critical here. Overall earning SkyMiles is a slow and arduous process so ditch all the aggravation by taking advantage of redeeming miles during Delta SkyMiles Flash Sales, if you can. Set a goal for your Delta SkyMiles. Goals keep you focused and motivated. Next, try to only book award flights during flash sales. This guarantees you’ll use your miles towards the best redemption offers. If your goal destination happens to go on sale then absolutely jump on it. However, if something else comes up, weigh the options and if it’s a good deal, go for it. For example, although New Zealand is my goal, Rome was convenient and irresistible last summer. If you don’t have enough miles and need a Delta SkyMiles boost, AMEX Delta Platinum is offering 50k bonus miles when you spend $1,000 USD within the first three months of opening a new credit card. That’s enough for domestic flights across the U.S. or round-trip flights to the Caribbean! Update August 2018: I booked a round-trip flight to London from New York City for 38,000 SkyMiles and spent $183.51 USD on taxes and fees. This post contains affiliate links. Read my disclosure. This is such a comprehensive post! I wish we had it in Australia, as I’d be taking full advantage of those flash sales and point system (as complex as it is). It’s hard enough to get a domestic flight at that price here! 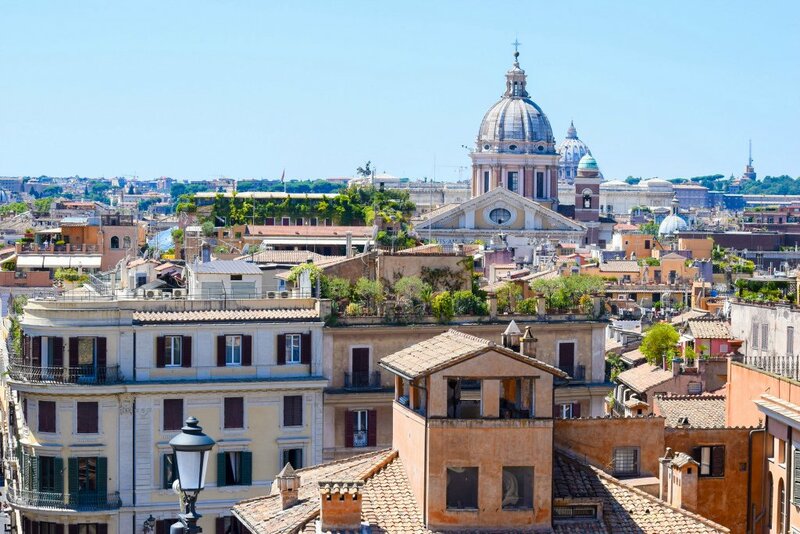 Your shots from the Spanish Steps for sure inspire wanderlust! You’re right that the points are usually slow to accumulate- a flash sale is well worth looking out for. Congrats on the 5k Skymiles discount! Congrats on finding such a great deal! I used to be Gold with American Airlines (solely through flight points not credit card purchases) and really had to stick to it to make it worth while. I was able to use my points to pay for a few trips to Australia (one with a layover in Honolulu!) but I definitely agree that you have to weigh up whether it is worth it if you can get cheaper flights with other airlines. Chantell, layover in Honolulu sounds like a dream! Did you have enough time to go out and explore?